Azul SA, the airline led by JetBlue Airways Corp. founder David Neeleman, filed for an initial public offering in the U.S. after at least two previous delays, adding to a pickup in share sales by Brazilian companies. The Sao Paulo-based airline, in a statement to the U.S. Securities and Exchange Commission on Monday, filed for a $100 million IPO, a placeholder amount used to calculate fees that may change. Azul joins car-rental firms Movida Participacoes SA and Unidas SA, and health-care company Instituto Hermes Pardini SA in breathing life into Brazil’s left-for-dead IPO market. Movida priced its offering on Monday, while the two other companies are expected to price on Friday. Since June 2015, Brazil had just one other IPO. Brazilians are anticipating an economic recovery in 2017 after the country’s deepest recession on record, the impeachment of President Dilma Rousseff and a corruption scandal that’s lasted almost three years. Brazilian stocks have doubled in the past year in dollar terms amid optimism that President Michel Temer can restore confidence in the region’s biggest economy. October 14, 2016 - Tampa, Florida. The Brazil-Florida Business Council (BFBC) will host the 2016 Brazil-Florida Business Awards Luncheon on November 15th at the Tampa Club. Ambassador Adalnio Senna Ganem, the newly appointed Brazilian Consul General in Miami will deliver the welcome address at this year's most anticipated international business event. "I would like to congratulate the Brazil-Florida Business Council on selecting two outstanding civic and business leaders on receiving this prestigious award, said David Neeleman, Founder, Chairman & CEO of Azul Brazilian Airlines and the 2015 honoree of the Brazil-Florida Business Award. "Tampa Mayor Bob Buckhorn and Blue Tree Hotels President Chieko Aoki are model citizens central to the fabric of our communities and the backbone of the economies of both regions." Sueli Bonaparte, the BFBC Founding President & CEO, highlighted the importance of the ceremony, stating that "every year we bring together representatives of the business community in Florida and Brazil to recognize and celebrate two individuals who are making remarkable and sustainable contributions to the economies of Brazil and Florida." 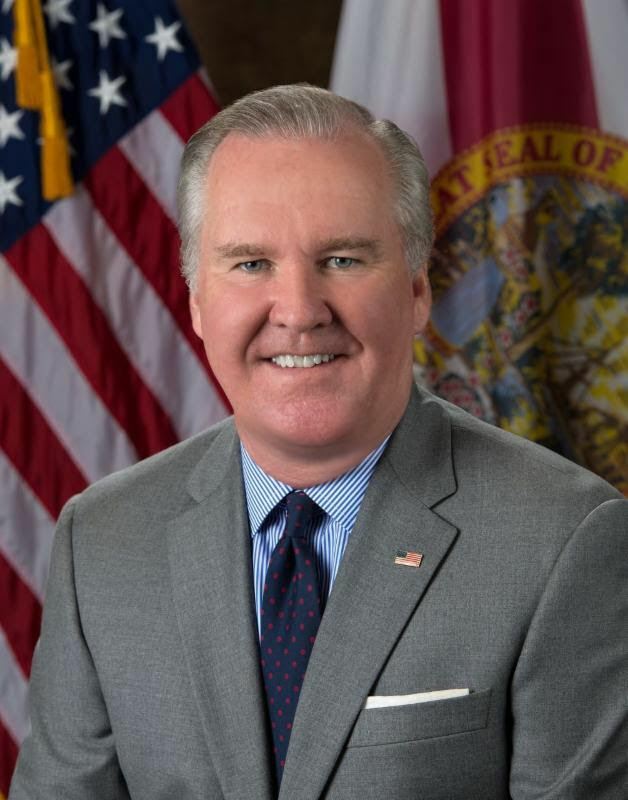 Florida honoree Mayor Bob Buckhorn has been championing Tampa Bay as one of the hottest markets in the country for corporate expansion and relocation for its cost-competitive business environment, a high-tech workforce, world-class infrastructure and enviable lifestyle. His vibrant and contagious personality and southern charm have also helped to attract global corporations, such as the North American shared services headquarters of Johnson & Johnson, to Tampa. Mayor Buckhorn is also credited for the strategic expansion of the Tampa International Airport and Port Tampa Bay, two critical logistical partners essential to attracting investment, as well as domestic and foreign trade. "Mayor Buckhorn is a great ambassador leading our efforts to expand trade and international business," states Paul Anderson, President & CEO, Port Tampa Bay. "Brazil is Port Tampa Bay's largest trading partner and our number one export market for cargo tonnage. As a member of the Port Tampa Bay Board of Commissioners, the Mayor plays an active role in support of this important relationship and in spreading the word about Port Tampa Bay's advantages across the globe." University of South Florida President Judy Genshaft praised Mayor Buckhorn for being at the forefront of Tampa's rapid emergence as a new global city. "His passion, vision and dedication to building connections between Tampa and Brazil maximizes our shared business, cultural, historical and social ties while setting the stage for future endeavors," she said. "The future belongs to those who work to seize its potential, and under Mayor Buckhorn's leadership the great relationship between Tampa and Brazil is even stronger and better." The news of Brazilian honoree Chieko Aoki's selection for the award was received with enthusiasm within the Brazilian business community. Considered an icon in the hotel and tourism industry and synonymous with innovation in the sector, she transformed Blue Tree Hotels into one of the most renowned hotel chains in Brazil, notably for its excellence in international standards and service. According to Forbes, Ms. Aoki is ranked as one of the most influential and powerful businesswomen in Brazil. Among Ms. Aoki's many admirers, the newly elected mayor of São Paulo João Doria, Jr. was thrilled to learn she has been acknowledged for her contributions to the hotel industry by setting high standards in the sector. Prior to becoming the mayor of the largest city in Latin America, Mr. Doria was the Chairman and CEO of LIDE - an internationally known group composed of business leaders. 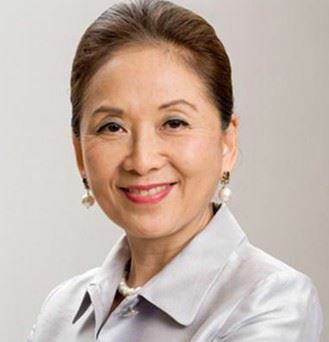 When he created the LIDE Women in 2006, he invited Ms. Aoki to lead his new initiative "to highlight the attributes of female management and inspire leadership, and she led this group with strength and determination," said Doria. Businesswoman Luiza Helena Trajano, Chairman of Magazine Luiza, added that "Chieko is one of the most important professionals in her sector, creating jobs and contributing to the Brazilian economy. She has become a role model to countless businesswomen." TozziniFreire Advogados is a winner at The American Lawyer Global Legal Awards 2016 in the “Global Finance Deal of the Year: Aviation Finance” category, for participation in Latin America’s first aircraft-backed enhanced equipment trust certificates (EETC), worth US$1 billion, issued by LATAM Airlines. Alexei Bonamin was TozziniFreire’s partner responsible for this deal. The award was received in a ceremony at Gotham Hall in New York on 26th September. The deal had already won another award in the beginning of the year by Latin Finance in the Structured Financing of the Year 2015 category. MIAMI, FL - During Chambers Latin America Awards 2016 held on September 16th in Miami, Mattos Filho was elected Brazil Law Firm of the Year by the distinguished British legal directory. This award, for which more than one hundred law firms were considered, takes into account an annual survey, which includes interviews with clients on the firms' performances in their respective practice areas and their professionals, as well as innovation and excellence of the services they offer. Chambers & Partners also issued the list of practices and lawyers included in its Latin America 2017 guide. Mattos Filho had 21 practices recognized of which Dispute Resolution: Litigation and Labour & Employment both rose in their classification, while Shipping appeared in the publication for the first time. The firm's individuals also shone with more of them being indicated than last year: 59 nominations spanning 20 categories. Please click here to access all results. This is an important recognition to Mattos Filho, reinforcing the firm's market position and vision of the future. (MIAMI, September 12, 2016) - Miami-Dade Aviation Director Emilio T. González hosted a roundtable discussion today at Miami International Airport with five fellow airport directors, federal legislators from Florida, and Miami-Dade County Mayor Carlos A. Gimenez, to discuss common issues facing Florida’s airports. U.S. Senator Marco Rubio and U.S. representatives David Jolly and Carlos Curbelo participated in the roundtable, which also included Ft. Lauderdale-Hollywood International Airport’s Mark E. Gale, Orlando International Airport’s Phillip N. Brown, Sarasota Bradenton International Airport’s Fredrick J. Piccolo, Southwest Florida International Airport’s Robert M. Ball and Tampa International Airport’s Joseph W. Lopano. Topics of discussion included efforts to modernize the Federal Aviation Administration’s Passenger Facility Charge program for airport improvements, and maintaining the federal staffing levels necessary to process the rising number of passengers and cargo shipments across the state. MIA, the busiest airport in Florida, served three million more travelers in 2015 than in the previous year, and has seen passenger growth continue in 2016 with a two-percent increase through August. MIA’s growth rate is expected to increase after a host of recent route launches and with the busy winter travel season ahead. MIA has also maintained its ranking as the busiest U.S. airport for international freight, handling 2.17 million tons of cargo in 2015 and matching that pace in 2016. Tampa International Airport is halfway through phase one of its $1 billion renovation, and things are starting to take shape. Massive concrete pylons jut high into the air while construction workers continue to lay the foundation for a 1.4-mile people mover track. A new concrete garage adjacent to the economy parking garage looks nearly complete from the outside, but on any given day this summer more than 600 workers were building stairways and the interior of what will become the 2.6 million-square-foot rental car facility. Ten new retailers and restaurants have opened so far, like Ducky’s, RumFish Grille and Gasparilla Bar in airside terminals. But the airport is poised to unveil what is perhaps the largest completed renovation to date in coming weeks when the P.F. Chang’s and Hard Rock Cafe restaurants open in the main terminal. Both are expected to open by August. Airport officials refer to this new area of the main terminal as “Main Street” because it will become the gateway for travelers who take the people mover to the terminal from the economy parking garage or rental car facility. Sandwiched between the two restaurants is the train station for the people mover and an expansive outdoor terrace. All of this used to be just a smoking deck. “We’re trying to take an existing building and make it look brand new,” said Al Illustrato, vice president of facilities and administration at the airport. Port Tampa Bay’s Cruise Terminal 6 was location for the recent Fresh from Florida Export Summit – Accessing Overseas Markets, an event co-presented by the port and the Florida Department of Agriculture and Consumer Services. The summit brought together a cross-section of agriculture, shipping, refrigerated cargo and logistics experts with attendance by Florida growers and producers, including the Florida Fruit and Vegetable Association and its members, as well as food and beverage companies, logistics service providers and regulatory agencies. Port Tampa Bay president and CEO Paul Anderson opened up the day-long event, setting a tone of enthusiasm for the commercial and shipping opportunities that lie ahead for the port and the state of Florida, particularly with the opening of the expanded Panama Canal this coming June and the port’s recent acquisition of two new post-Panamax container cranes. Embraer Executive Jets has delivered its 1000th business jet, with US fractional ownership operator Flexjet taking delivery of its fourth mid-size Legacy 500. The Flexjet buy is part of a larger order including Legacy 450s and 500s. The company has been a long-time Embraer customer, also operating the Phenom 300. Embraer entered the business jet market in July 2000 with a design based on the ERJ-135 regional airliner. The Legacy 500, which entered service in 2014, was the first midsize business jet with digital flight controls, based on full fly-by-wire technology, with side-stick controls. Now Embraer has come up with a revolutionary interior that's straight out of a sci-fi flick. The interior is currently available for those who are interested in ordering the company's $55 million Lineage 1000.